My best friend owns a charter bus company, Holiday Tours, that covers central North Carolina. I am always amazed when he tells me about the number of “price-only” shopper queries they receive. Anyone chartering a bus for a school group, church group, business outing or a group of friends, ought to be a little more concerned about safety. I would provide a list of questions to ask when chartering a tour bus, but I know EDLP (every day low price) providers will not give you an honest answer to your questions. They are typically in the business on a whim and running their business on a shoestring cutting corners everywhere they can to stave off inevitable bankruptcy that’s the result of pricing that fails to cover their cost, let alone provide a reasonable profit. Will the driver hold a current Commercial Driver’s License with a “passenger” endorsement ? Will the driver hold a valid medical certificate ? Does the company have a driver drug/alcohol testing program that complies with DOT regulations ? What is the maintenance schedule for the buses? How does the company ensure the safety and security of passengers? Charter buses are a great, and environmentally friendly, way to travel with a group for business or pleasure; however, safety should come before price more so than in any other purchase you make. 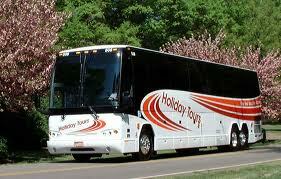 What are your experiences with motor coach travel? This entry was posted in Consumer Insights and tagged chartering a bus, Consumer Insights, motor coach safety. Bookmark the permalink. Pingback: Addressing Three Mistakes in RFQ Responses | BusRates.com Blog: Tourism. Travel. Technology.